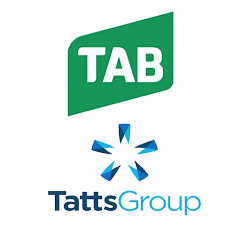 Australia’s two largest bookmakers, Tattersalls and Tabcorp have agreed to merge and create a central company that will control over 90 per cent of totalisator betting in Australia. Tatts currently has a market capitalisation worth $5.3 billion. They run totalisator betting in South Australia, Tasmania, Queensland and the Northern Territories. Tatts also runs states lotteries in the eastern territories. Tabcorp is currently worth $4 billion and runs tote betting in New South Wales, Victoria and the ACT. Tabcorp also has a media division structured around Sky Racing. Both Tattersalls and Tabcorp compete in the online betting market with Tabcorp running the Luxbet brand and Tatts running the newly formed UBET brand. The two companies have met previously to discuss talks of a merger but to no avail. This time round, both companies unanimously agreed to the deal which will give Tabcorp controlling interests in the newly formed business. Fresh merger talks were sparked by a marked decrease in profits last year. The profit loss was suspected to be directly linked to the deregulation of gambling licences in Australia. This has led to the influx of international online competitors. Speaking to the press, about the merger Tatts and Tabcorp explained that in a rapidly changing landscape, the best way to create a strong, diversified business is to bring the two business together. The merging of the two powerhouse bookmakers will create an entity worth on $11.3 billion and generate revenues in excess of $5 billion. The company’s combined market capitalisation is expected to be in the region of $8.6 billion. If the deal is approved, Tatts shareholders will be compensated and receive 0.8 Tabcorp shares. Tatts shareholders will also receive 42.5 cents for each share they hold in Tatts. While the agreement is all written up, the merger deal still needs the approval of the Australian Competition and Consumer Commission. The ACCC has shown serious reservations in past and has blocked a similar proposal back in 2006. Many of the concerns from 2006 have been lessened by the Victorian Government’s decision to completely restructure the industry in 2008. This led the removal of existing gaming and wagering licences. For Australian punters the merger could mean a huge shake up in the online and club betting market and it will be interesting to watch and see what happens next. Such a merger could have huge ramifications for other betting companies and the future of wagering may look completely different for some now. 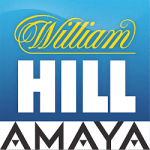 William Hill Keen on Merger Deal with Amaya William Hill, the parent company for William Hill Australia is currently in talks with Canadian online gaming giant Amaya. In 2014, Amaya …. 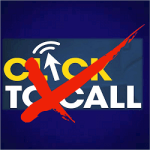 In-Play Betting Loophole for TABs With the ban on Click-To-Call officially coming into effect, many cooperate bookmakers feel that local TABs will be handed an unfair advantage. The draft federal …. 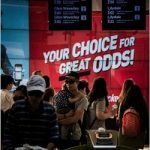 Australian Bookmakers Increase Advertising Spend With government and anti-gambling politicians on the gambling warpath, local Australian bookmakers have increased their advertising campaigns in an effort to reduce the negative exposure. …. 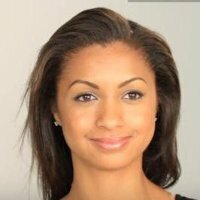 William Hill to Launch New In-Play Betting Product The Australian division of major online bookmaker William Hill is set to launch an innovative new in-play betting product that will give ….